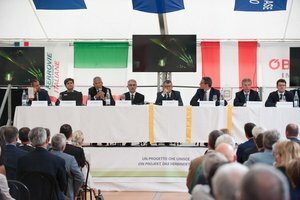 Fortezza 12th July, 2016 – This afternoon, at the Habsburg fortress in Fortezza, the new Infopoint for the Brenner Base Tunnel project was inaugurated. 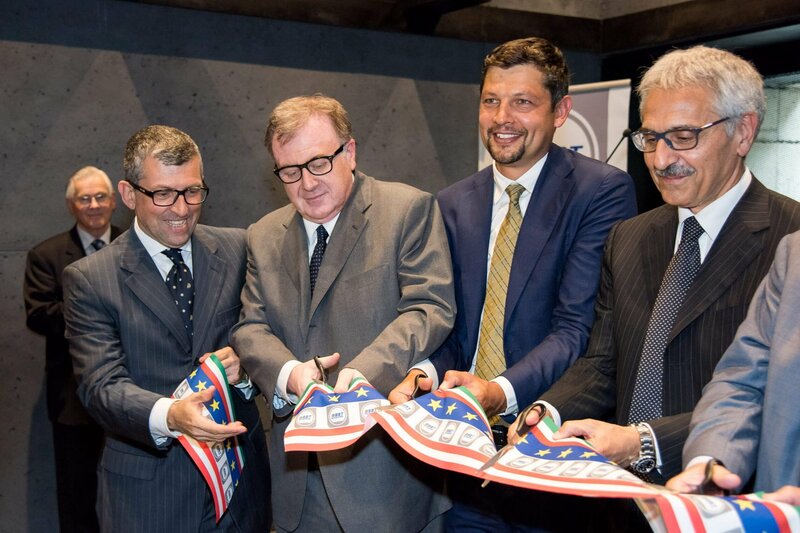 The Governor of the Province Mr. Arno Kompatscher, RFI CEO Mr. Maurizio Gentile and the mayor of Fortezza Mr. Thomas Klapfer were in attendance. 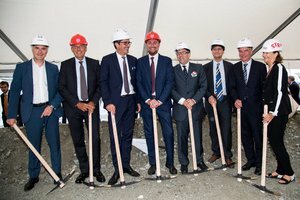 For several years now, renovation and redevelopment work has been under way on the fort in Fortezza, supported, among others, by the Province of Bolzano. When it was opened, in August of 1838, the Habsburg-era fort in Fortezza was considered one of the pearls of Austrian military engineering. It is a barrier across the valley that no army could have got past, bomb-proof and with many refined details. The fortress, however, never saw combat and the structure was therefore mostly used, in the decades that followed, as an arsenal and magazine. Since renovation was completed, the permanent exhibitions tell fascinating stories. 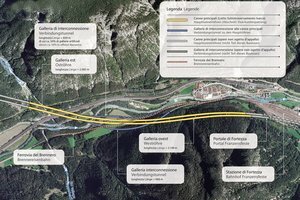 One of these exhibitions will be from now on the Infopoint, which will open its doors tomorrow to everyone interested in the Brenner Base Tunnel project. 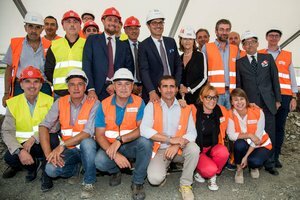 The delegation then travelled to the Fortezza construction site, where the works on the Isarco River Underpass construction lot are ongoing. 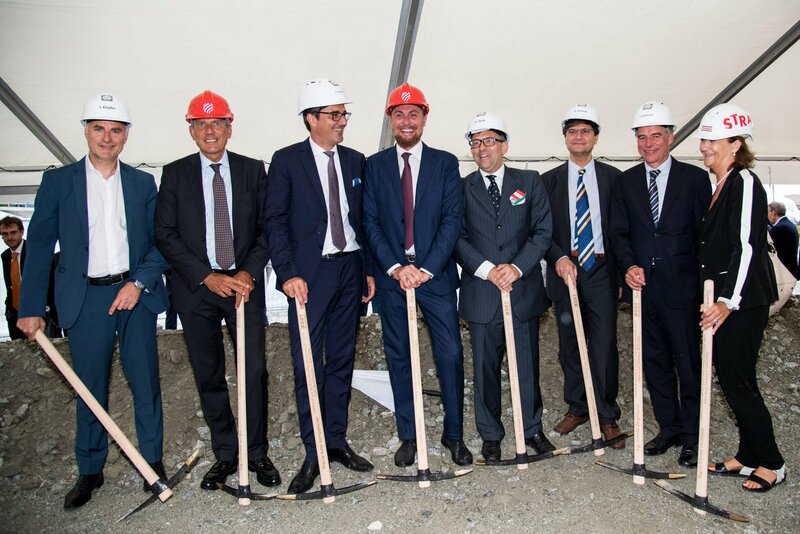 This construction lot is the southernmost part of the Brenner Base Tunnel before the railway station in Fortezza and it is located about 1 km north of the town of Fortezza, in the Prà di Sopra neighborhood, in the Province of Bolzano. The preparatory works for the lot began in October of 2014. They included the re-routing of the Brenner State Road SS12 and the construction of a new road, plus a loading and unloading area next to the southern lane of the highway. 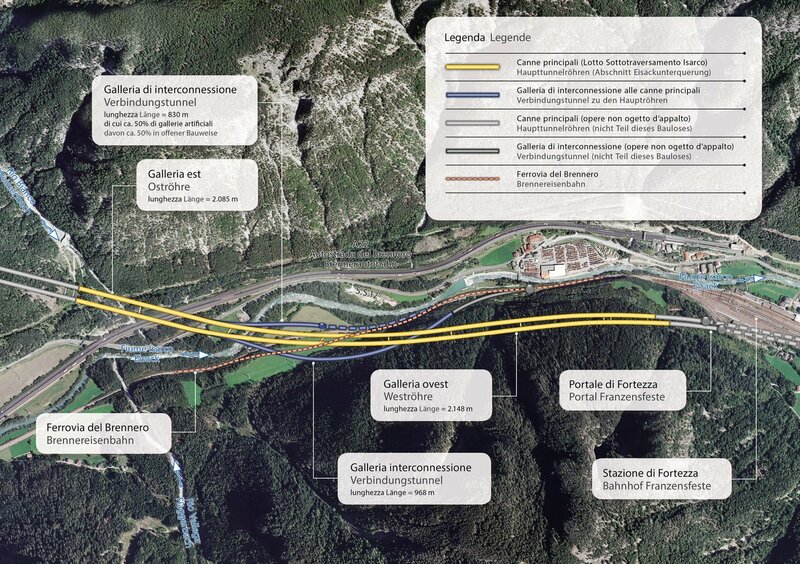 Now that these works are complete, the main part of the lot will begin, involving the construction of the two main tubes and of two junction tunnels linking to the existing line (approximately 6 km). The works will be driven mainly through loose material below the groundwater level, using the typical construction methods for the underground full-bore tunnels. Due to the particular conditions in the construction area, two specific techniques will be used in this lot: freezing and jet grouting. The works are expected to last about 8 years and are worth 301 million Euro.